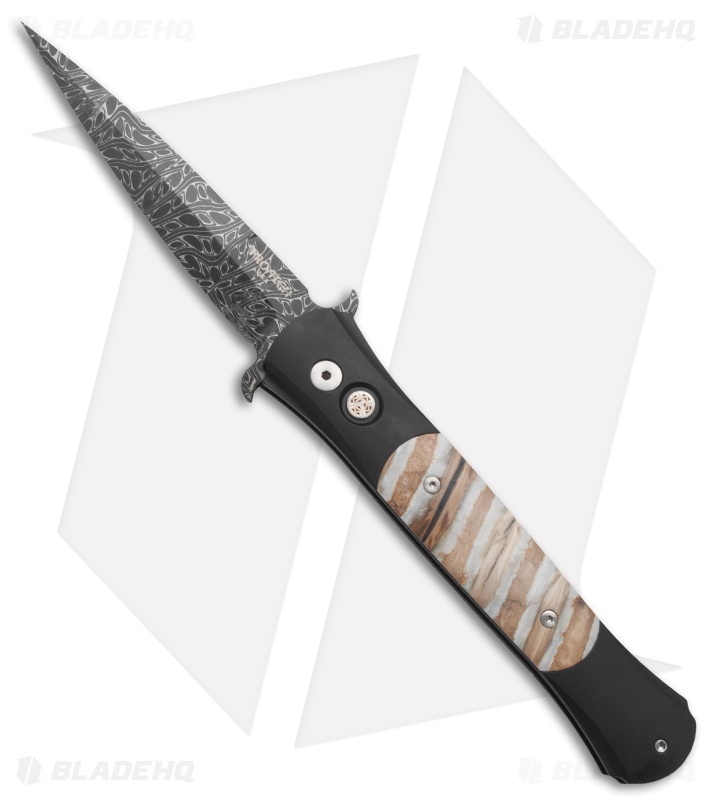 This Large Don knife features a Chad Nichols high carbon Damascus steel blade and exquisite ancient mastodon tooth inlays. The body is 3D machined 6061-T6 aluminum; nearly every surface of the Don is curved including the front.The hardware on this knife is all satin finished. This knife is incredibly light despite it length. The Protech Don series takes cues from the popular Italian stiletto. 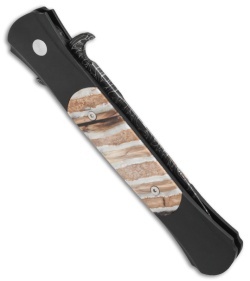 The Don's profile is long, slim and even includes blade guards. This is a great example of innovative Italian styling being coupled with American machining expertise to produce a synthesis that is both complementary and original! This knife is sure to please both Protech fans and collectors of Italian memorabilia alike.